The National Cyber Alert System provides some relief if people decide to subscribe with them. Computer systems were introduced decades ago and have evolved to become useful devices that make life more convenient and all kinds of productive tasks easier to work with. Since the early days of computing, researchers and specialists in the field of computing were always on the move in addressing the weak points of computing and finding possible solutions to the problem. As vulnerabilities are patched, new ones can still be discovered and spreading the word to all the computer users can be tough. The National Cyber Alert system is a notification service launched by National Cyber Security Division for the United States. Its main objective is to report any vulnerabilities that are discovered in computers and describe how these vulnerabilities make an impact and to what degree. It also provides early solutions on how to evade these threats before programmers devise their own patches for permanent preventative measures. Although it is primarily for Americans to use, anybody with an Internet connection can subscribe to receive updates. History The alert system launched early 2004 under the request of the Department of Homeland Security. The National Cyber Security Division responded by working with the U.S. Computer Emergency Readiness Team (US-CERT) to making the system available to any Internet users. US-CERT has been keeping public records of the vulnerabilities ever since the launch of its website and alert system. Technologies Used The system utilizes traditional e-mail subscription and autoresponder technologies to deliver updates to all the e-mails stored in its database. As soon as vulnerabilities are posted on its homepage newsletters are sent out according to the subscriber's settings. Because of the popularity of RSS readers, US-CERT also offers these updates in RSS and ATOM format so updates can be viewed without inbox clutter and possibility of spam filters to take into effect. It also utilizes Google Search Appliance to allow site visitors to search for vulnerabilities and other documents and archives hosted in the site. Site Features and Vulnerability Coverage The US-CERT website can be accessed at http://www.travel.state.gov where the visitors are presented with a portal interface displaying the latest updates in cyber security and US-CERT news in panels. Each of the postings are coupled with RSS, ATOM, and My Yahoo! buttons for people to keep track with the posting itself leading to a page that shows detailed information regarding the topic, security update, or vulnerability. The sidebar offers other information for both technical and non-technical users as well as government users. The National Cyber Alert is divided into four main sections where two are for the technical users and the other two for non-technical users. Non-technical postings are for people that are not very familiar with computer security, but still wish to keep their system safe. Under this category are the "Security Alerts" and "Security Tips". Technical users can take advantage of the "Technical Security Alerts" and "Security Bulletins". The "Security Alerts" cover all of the frequently used applications in modern day computing such as Microsoft's operating systems and any Microsoft products including the Office family and various technologies. Adobe products are also covered along with Apple, Sun Microsystems, Mozilla, RealNetworks, and certain web services like eBay. Any programs or online services that are widely used by the public will most likely fall in this site if vulnerabilities are discovered. Clicking on a vulnerability will display a full overview of the vulnerability including any important links by the developer and solutions to the problem. Updates will also be made when patches are available. 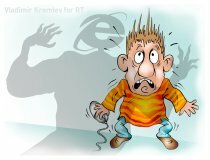 The "Security Tips" presents a useful guide tackling 7 useful topics regarding computer security including useful tricks that even newbies can make use of. "Technical Security Alerts" are similar to "Security Alerts", but provide more detailed information in each vulnerability that experienced computer users can benefit from. The "Security Bulletins" are a collection of weekly posts that each contains a table of the vulnerabilities discovered along with a general description and their severity level. The National Cyber Alert System is a nice system to rely on and is much more convenient than accessing multiple pages of different developers just to get the latest security news of every program. It offers plenty of subscribing options and is frequently updated to keep all kinds of users safe. Ask your National Cyber Alert System and Home Alarm Question HERE!